Earth’s Mightiest Heroes will settle into a brand new headquarters once their battle against the giant Dark Celestials comes to an end. Writer Jason Aaron and artist David Marquez will introduce Avengers Headquarters in the pages of Avengers #8 this September. The Avengers have had a couple of different headquarters over the decades, from Avengers Mansion to Avengers Tower. The “No Surrender” weekly event also reintroduced the forgotten emergency auxiliary Avengers headquarters from 1965’s Avengers #13, by Stan Lee and Don Heck. However, a new team of Avengers calls for a new base of operations. It’s quite possible this is the same mountain that the Thunderbolts use to call home, which also doubled as Norman Osborn’s H.A.M.M.E.R. headquarters in Colorado. 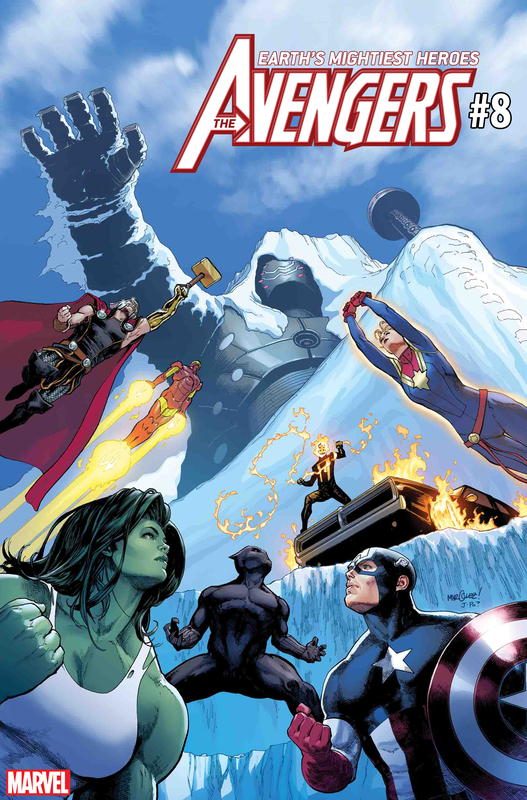 Marquez’s cover for Avengers #8 shows the team facing off against a giant Celestial on a mountaintop, so the Colorado locale may turn out to be an accurate guess. Jason Aaron and David Marquez’s Avengers #8 goes on sale September 19 from Marvel Comics. The post The Avengers Will Get a New Headquarters in Late-2018 appeared first on CBR.